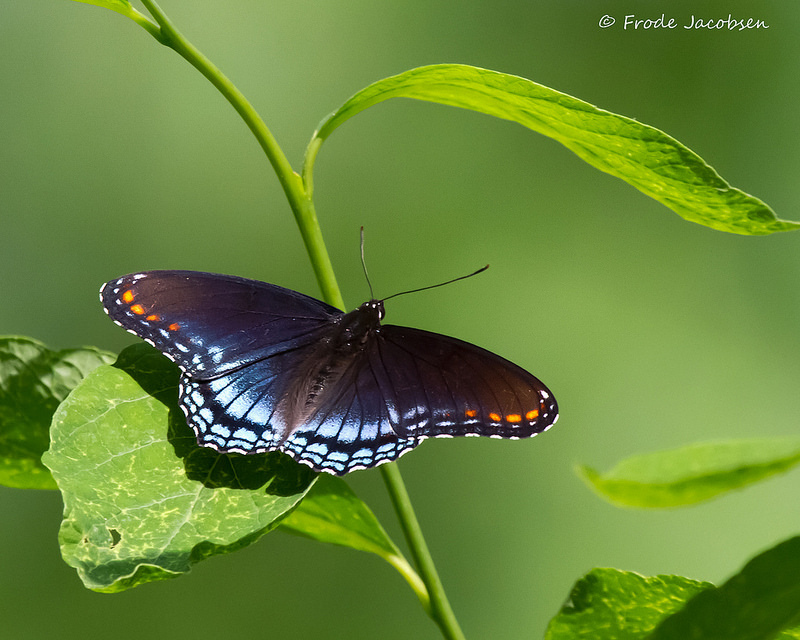 Red-spotted Purple Limenitis arthemis (Fabricius, 1775) astyanax Synonyms: Basilarchia arthemis, Red-spotted Admiral. 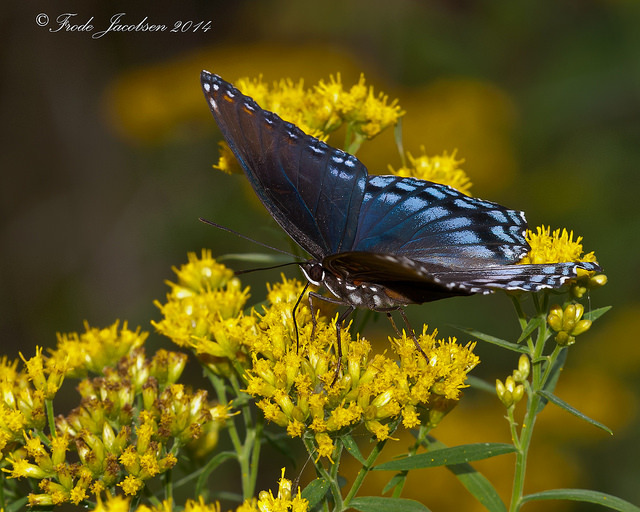 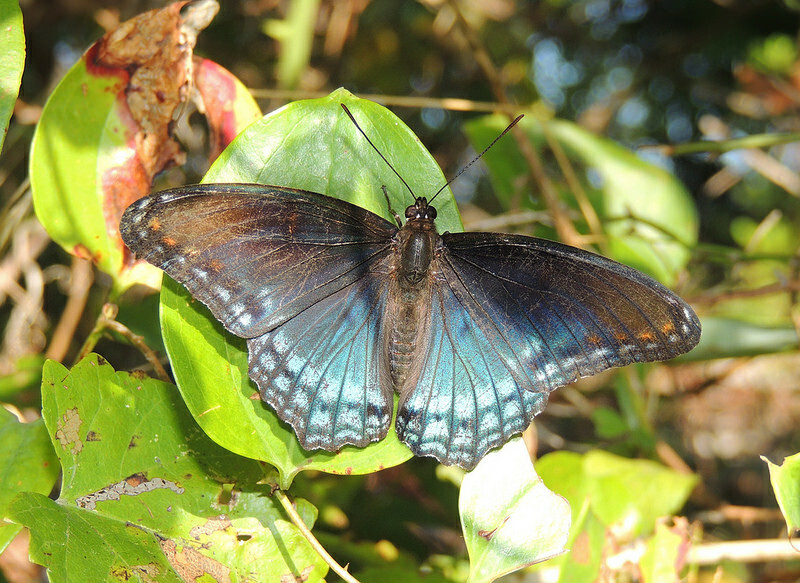 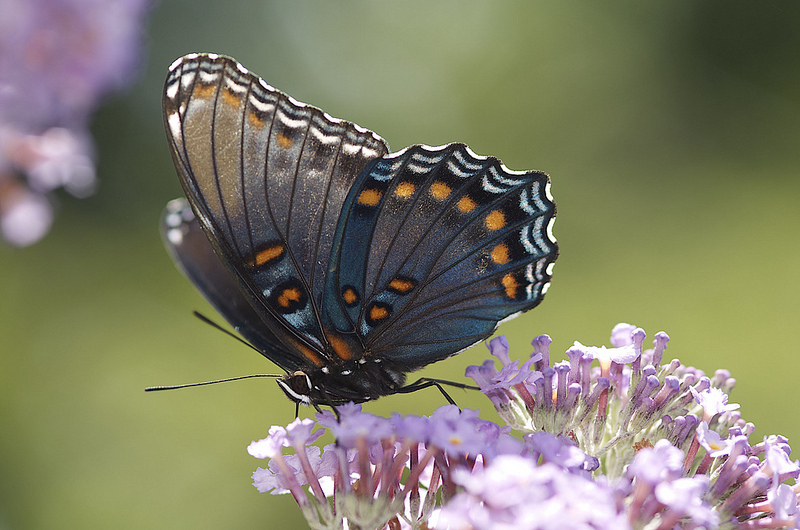 Red-spotted Purple (Limenitis arthemis astyanax) is the southern form of L. arthemis, a widespread species of admiral. 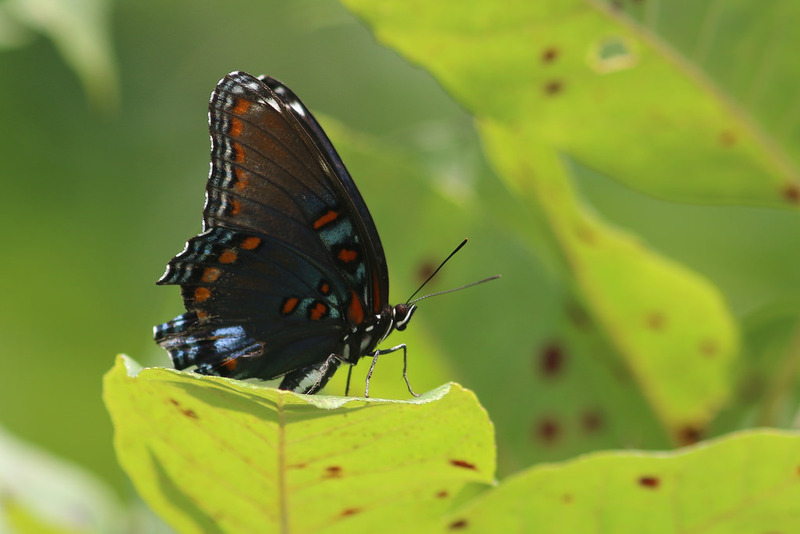 Most species in the genus have prominent white bands on the wings, and indeed, the northern form of this species, called the White Admiral (L. arthemis arthemis) still does show this ancestral state. 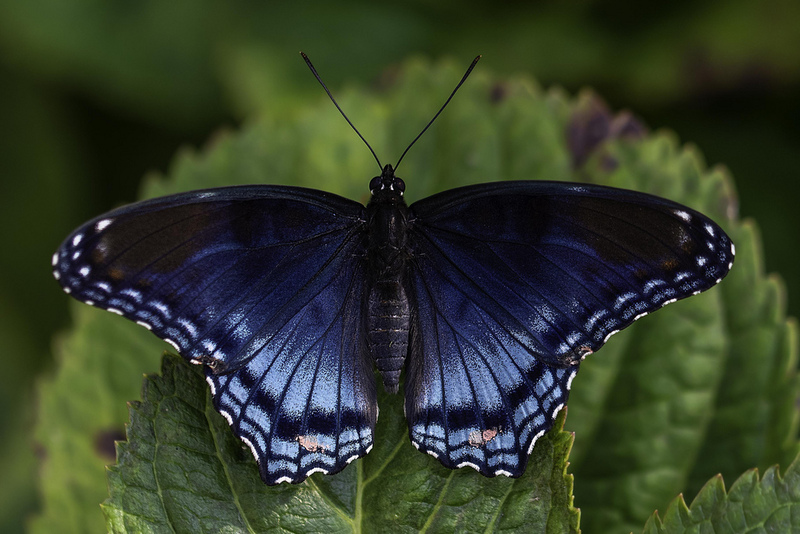 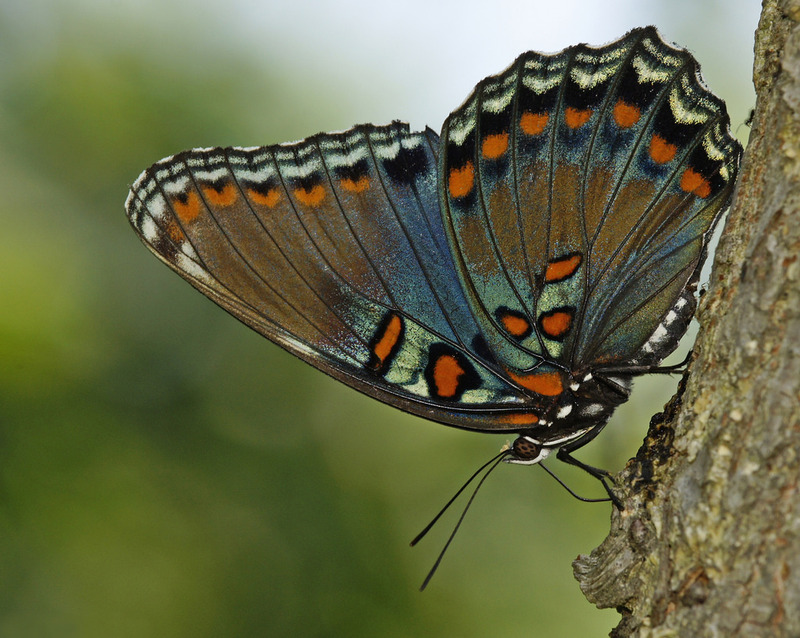 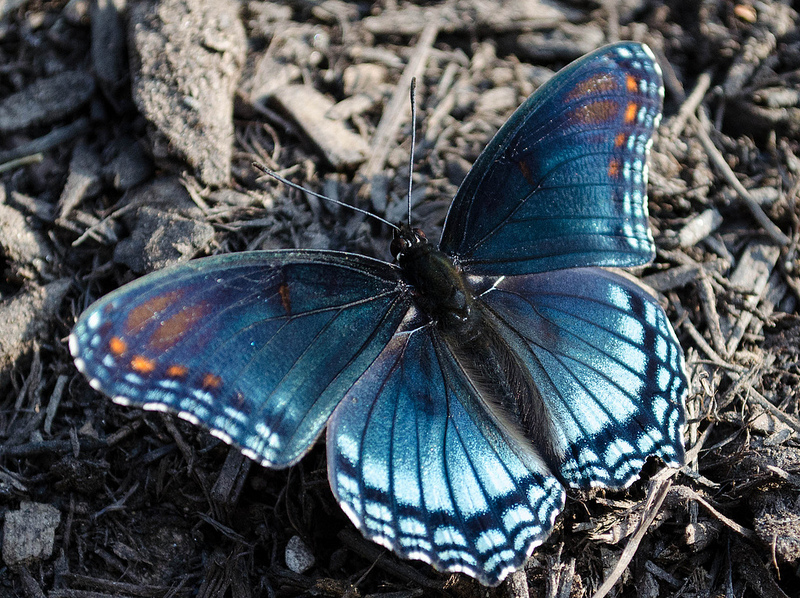 The Red-spotted Purple, however, has evolved as part of a Batesian mimcry complex, where a harmless mimic resembles a harmful model. 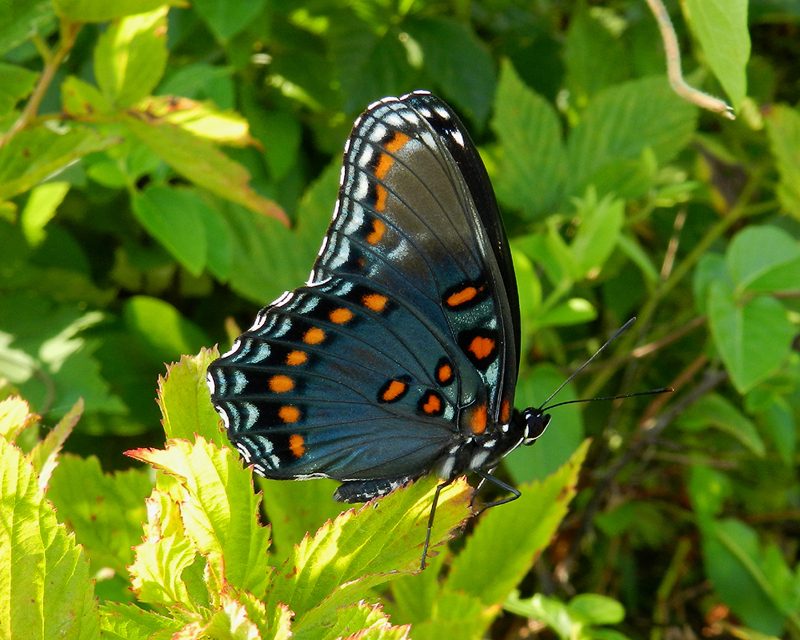 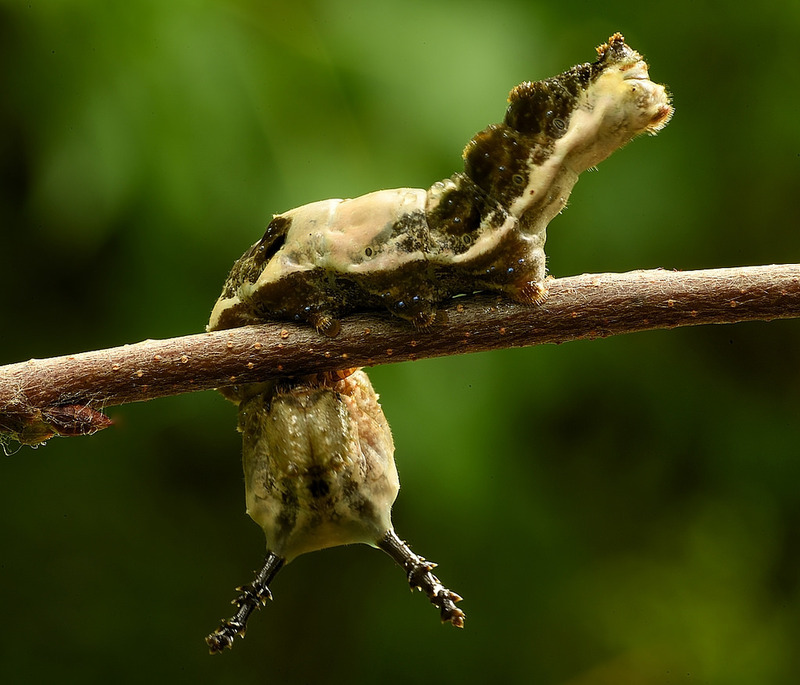 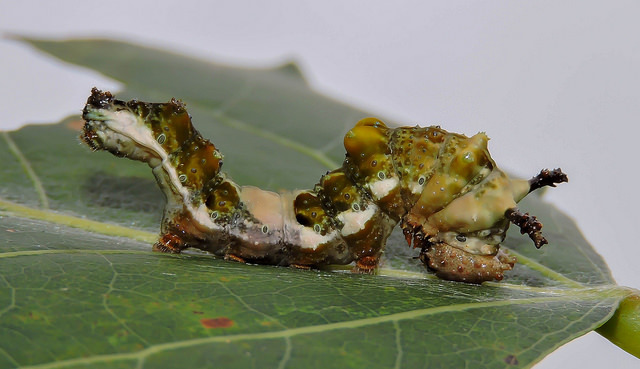 In this case, it gains a measure of protection from predators by resembling the distasteful Pipevine Swallowtail (Battus philenor). 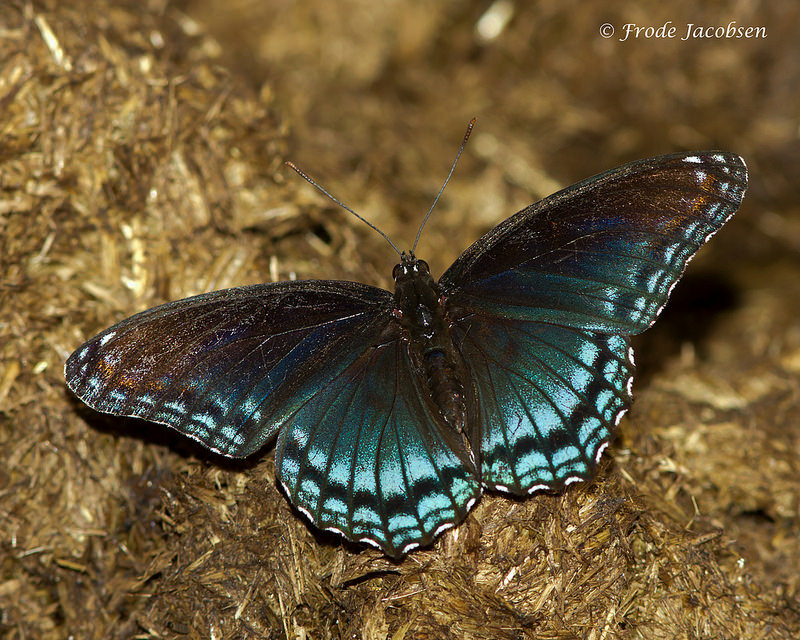 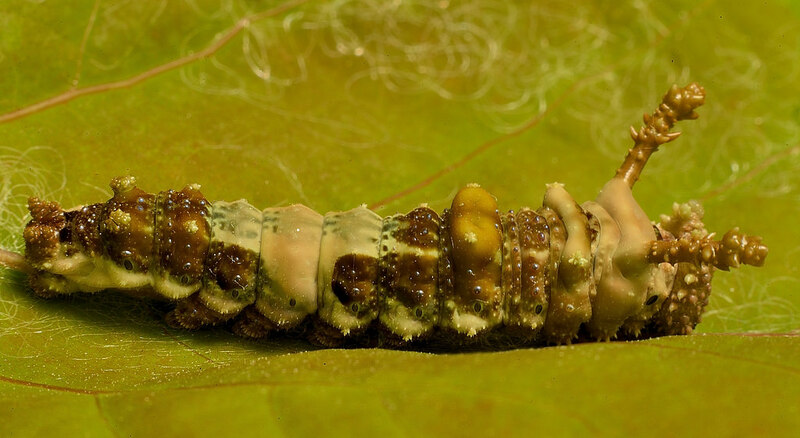 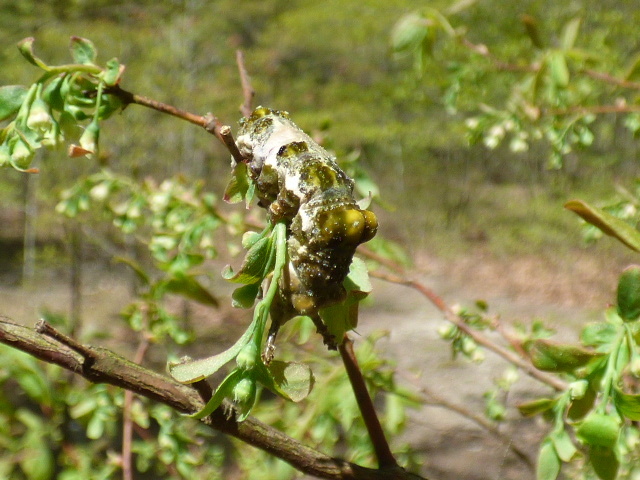 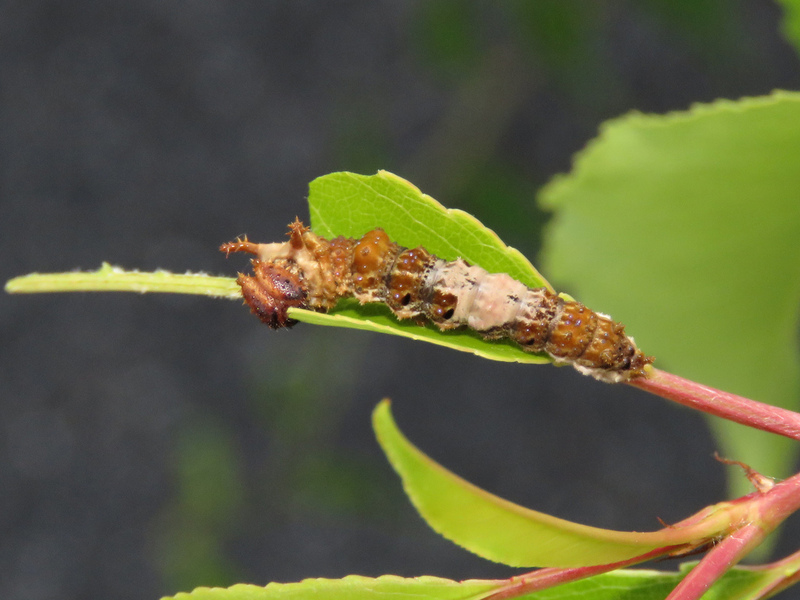 A number of other butterflies within the range also resemble the Pipevine for the same reason. 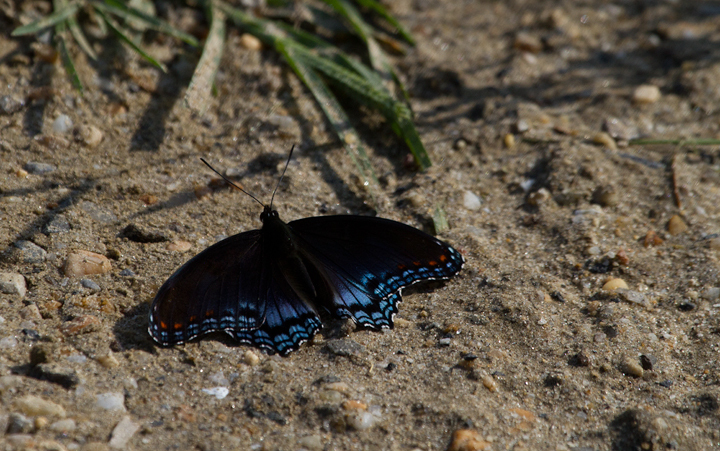 This butterfly is common across Maryland, and is often seen basking on the ground, where it is susceptible to being struck by vehicles. 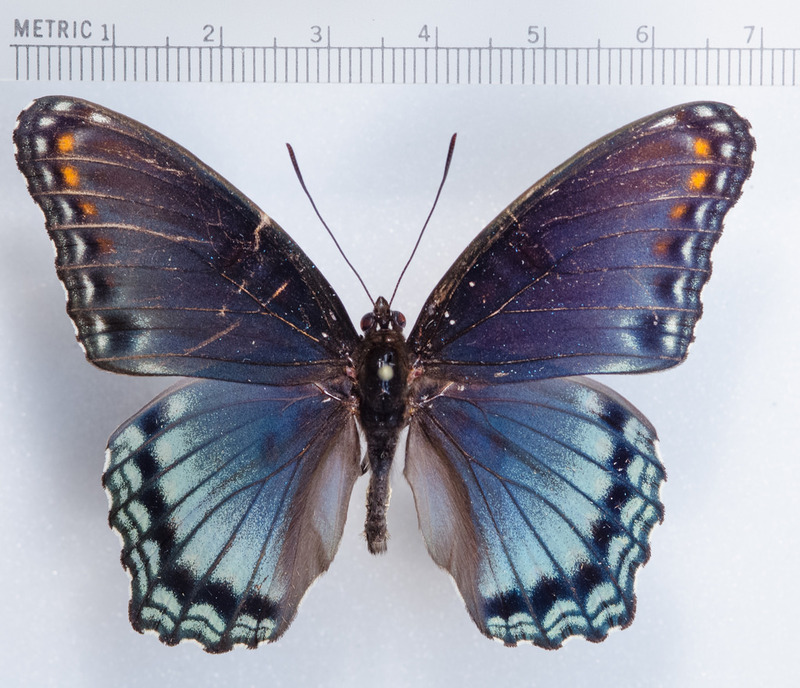 There are 415 records in the project database.